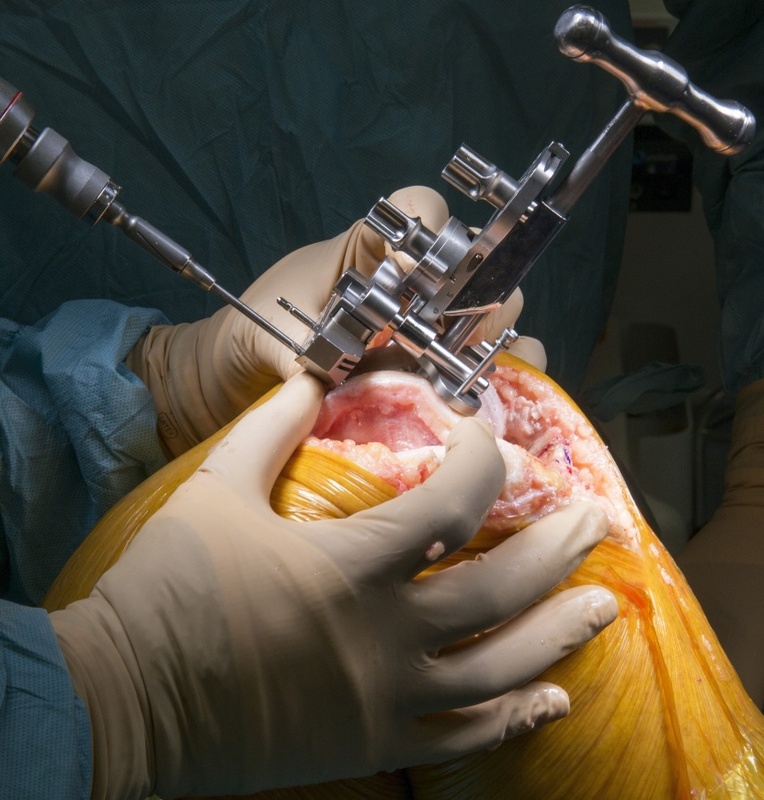 Learn the Vanguard total Knee Replacement (Cruciate retaining, Zimmer-Biomet) surgical technique with step by step instructions on OrthOracle. Our e-learning platform contains high resolution images and a certified CME of the Vanguard total Knee Replacement (Cruciate retaining, Zimmer-Biomet) surgical procedure. Education, advice, and access to information, strengthening exercise,weight loss, Assistive devices (for example, walking sticks) for people who have specific problems with activities of daily living. The decision to perform total knee arthroplasty surgery must include the failure of conservative treatments. Take account of comorbidities that compound the risks involved in surgery. Take into account the person’s expectations, needs, and anxieties. The type from joint replacement used should take into account published outcome data ( NJR data), the surgeons experience but should also leave space for innovation. The Vanguard knee system is produced by Zimmer Biomet and provides a comprehensive total knee replacement system with flexibility to change from cruciate retaining (CR) to posterior stabilized (PS) within a single system. Institution; The Royal Orthopaedic Hospital , Birmingham ,UK.